Born in Glasgow, the son of a prosperous tobacco merchant, he was educated at Ayr Academy and GSA , and trained as an architect in the office of Campbell Douglas & Sellars, becoming their chief assistant. In 1889, after Sellars' death, he joined the office of John Honeyman, bringing with him Sellars� unfinished designs for Anderson�s College of Medicine, Dumbarton Road, which he was allowed to complete with the aid of J P Macgillivray , who executed the building's sculpture. Keppie was made a partner in the renamed firm of Honeyman & Keppie and, in the same year, he introduced Honeyman to one of the most promising graduates of the GSA , and invited him to become one of their draughtsmen. His name was Charles Rennie Mackintosh , and his participation in the firm�s projects was to accord it the legendary status which it enjoys today. Among the firm�s celebrated projects during this period were their unsuccessful competition designs for Kelvingrove Art Gallery and Museum, 1891-2, one of which, a classical temple, was designed by Honeyman, and another, a multi-towered Renaissance palace, whose design was prepared by Keppie and Mackintosh, whose hand is most evident in its astonishingly elaborate programme of figurative, Glasgow-style sculpture. The firm�s most important commercial building in the 1890s was Pettigrew & Stephens� Manchester House, 191 Sauchiehall Street, designed by Keppie, with decorative details and a dome reputedly by Mackintosh. 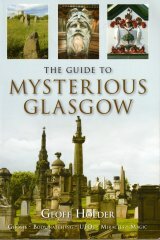 McGilvray & Ferris were also responsible for the plaster reliefs and decoration in Mackintosh�s iconic Willow Tea Room, Sauchiehall Street (1903) and Keppie's T & R Annan�s photographic Studio, 513 Sauchiehall Street, which features statues of the Delphic Sybil and the Prophet Isahia on its fa�ade by Richard Ferris (1903-5). Keppie's contribution to the firm's design work in the 1900s has been overshadowed by Mackintosh's celebrity, with every one of his surviving architectural drawing's scrutinized by historians eager to find evidence to confirm that drawings previously credited to Keppie were, infact, actually by their God, Mackintosh. A fine example of Keppie's work during this period is the Glasgow Savings Bank, 1448-56 Gallowgate, which was in his favourite Beaux-Arts style, with a dome and niche containing a figurative group of a man and wolf representing Prudence Strangling Want, by Archibald Macfarlane Shannan , an exuberant scheme of cherubs and organic carverwork by Holmes & Jackson on its facade, and interior plasterwork by MacGilvray & Ferris (1908-9). Honeyman eventually relinquished most of the firm�s designing to Keppie and Mackintosh due to his failing eyesight which, by 1900, had left him completely blind. He retired from active participation in the firm�s work in 1901, although his name was retained in the firm�s title until it was renamed in 1917. After MacKintosh's departure in 1914, the firm was renamed John Keppie & Henderson, when former assistant A G Henderson became Keppie's new partner, 1917-49. Keppie retired around 1937, leaving the firm in the hands of Henderson and Alexander Smellie. The firm was later named Keppie, Henderson & JL Gleave, 1949-58; Keppie Henderson & Partners, 1958-81; Keppie Henderson Architects, 1981-89; SBT Keppie, 1989-95; and then Keppie Design, founded in 1995. The firm is currently run by Managing Director David Stark, who recently published a history of the firm in 2004: Charles Rennie Mackintosh and Co. 1854-2004 (Stenlake Publishing Ltd).